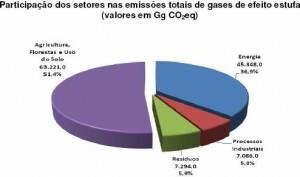 Earlier this year the Brazilian state of MInas Gerais (MG) released an inventory of greenhouse gas (GHG) emissions in 2005. I found this inventory interesting and this you might too. 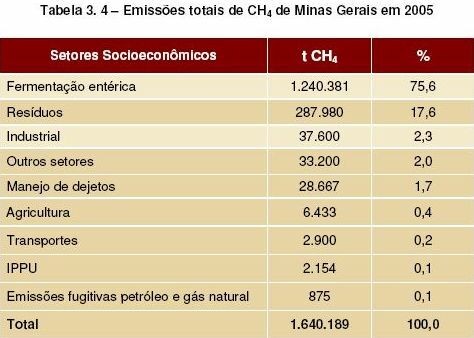 MG has a more diverse economy than most Brazilian states, being a leader in agriculture, mining and industry, all with different impacts on GHG emissions. I’m adding this to the Temas listing of GHG inventories in Latin America and the Caribbean (LAC). 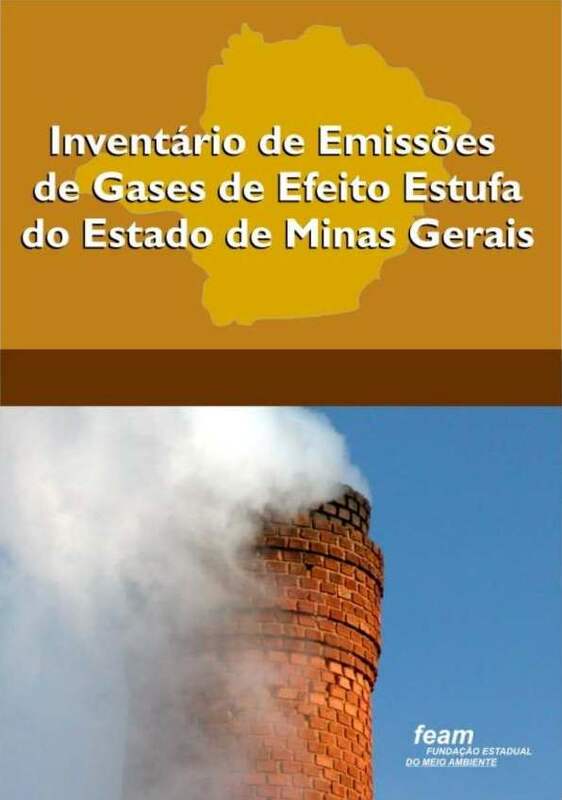 To better understand the report, keep in mind that MG utilizes the four category structure recommended by the Intergovernmental Panel on Climate Change (IPCC): energy; industrial processes and product use; agriculture, forestry and other land use; and wastes. 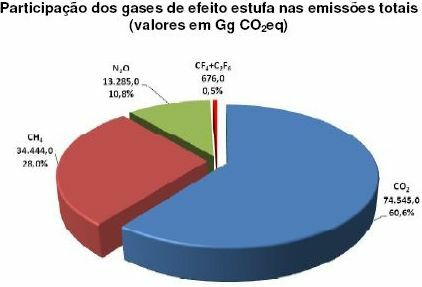 The the Agriculture, Forestry and Other Land Uses category emitted 53.221 million mT CO2e, with the leading emission being methane (CH4) at 42.4%, followed by CO2 at 39.9% and nitrous oxide at 17.7%. Livestock rearing accounted for 57.1% of the total GHG emissions in the Agriculture, Forestry and Other Land Uses category, followed by changes in soil use at 38.4%. 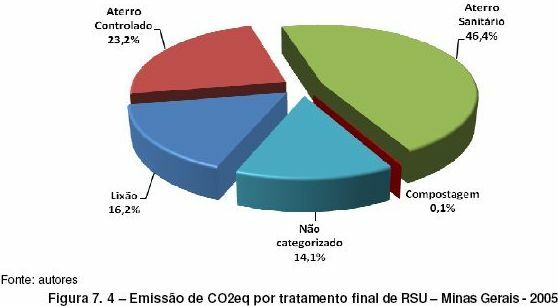 Within the Waste category, 40.9% of total GHG emissions resulted from RSU management, 24.1% from industrial wastes, 23.6% from household and commercial sewage, and 11.4% from industrial effluent. The economic weight of GHG emissions, calculated by dividing their respective value by the gross internal product (PIB) of the state in 2005, shows that service activities emitted 250 kg CO2e per R$1,000 produced, industry emitted 610 kg CO2e per R$1,000 produced and agriculture, including forestry and other land uses, 3,550 kg CO2e per R$1.000 produced. Considering the entire MG economy in 2005, for every R$1,000 produced 640 kg CO2e were emitted.